A person couldn’t ask for a more beautiful morning. The temperature was mild, the sun was out and the winds were light, in the 5-7 mph range. The clouds moved in not too much later but the beach was still the place to be. 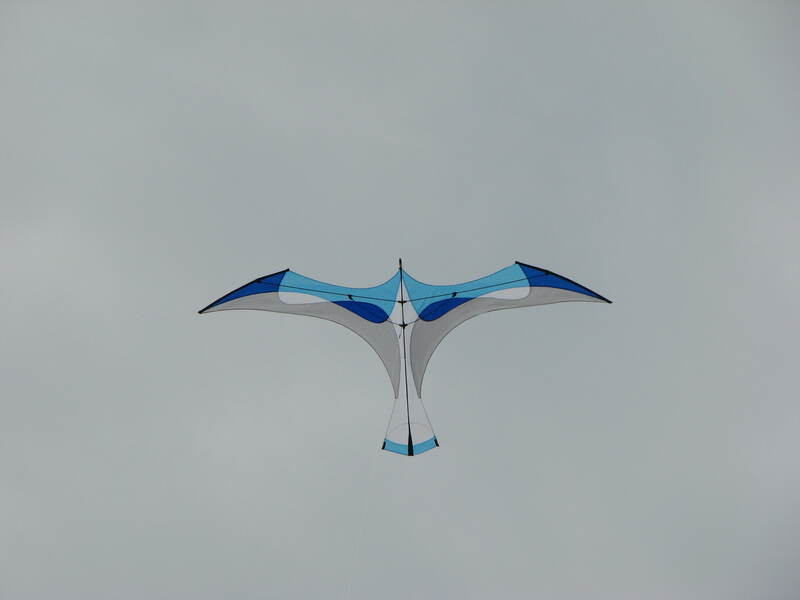 This was the day for the first flight of my new light wind kite, the Laima. 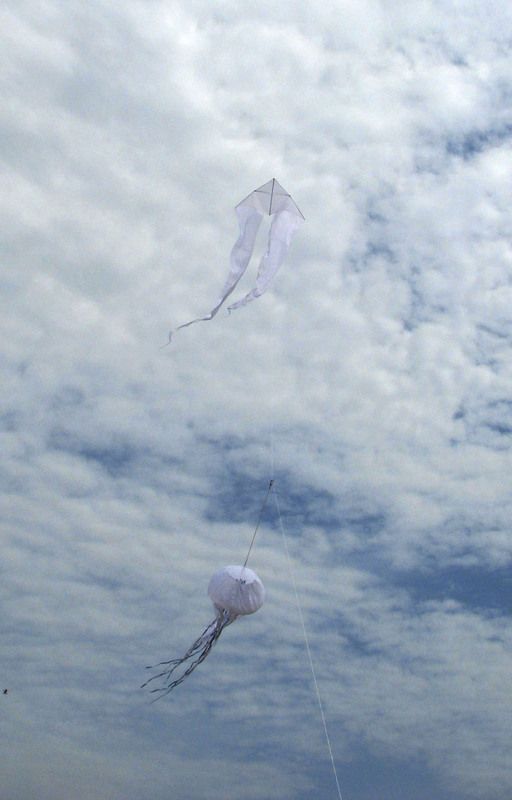 It looks like a bird soaring high in the sky and floats on the lightest of winds. 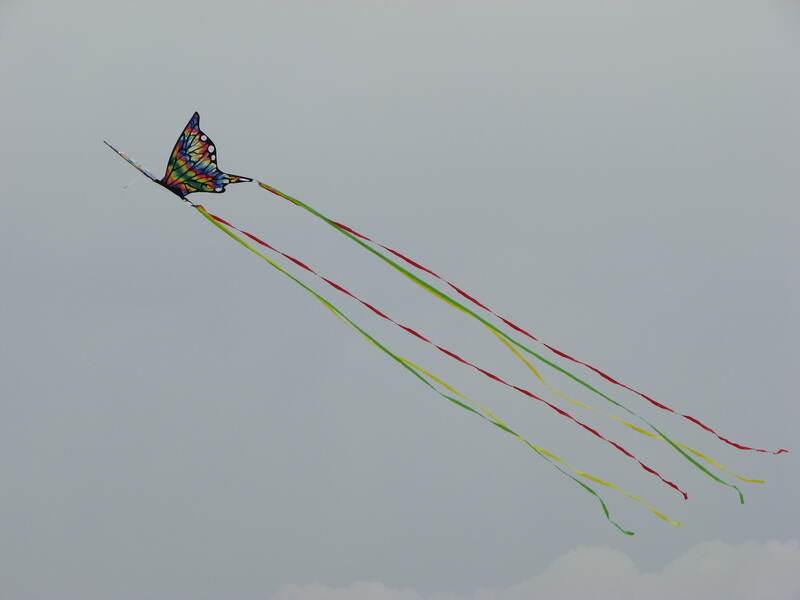 There was quite a variety of kites in the air along with my Laima; a white Ghost delta kite with a jellyfish on the line, the low-wind Skate, a Triangulation and a smaller power sled. 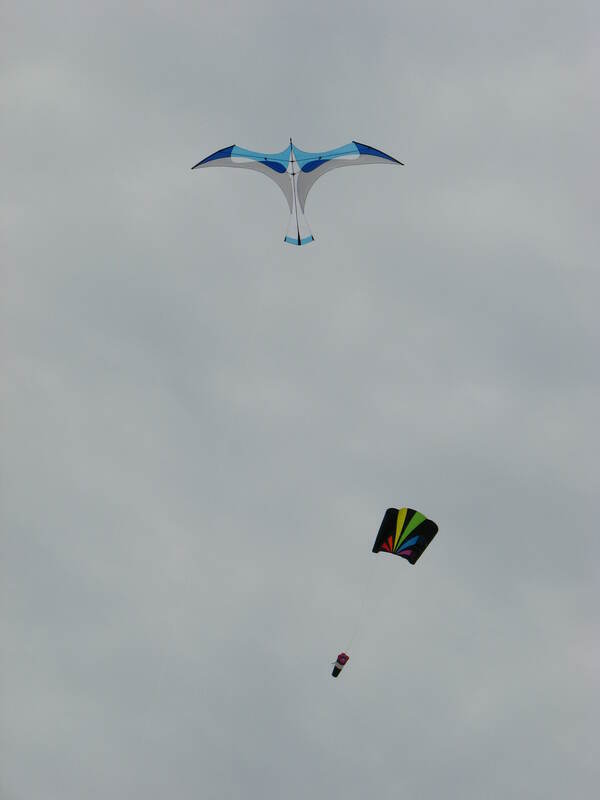 This was also a good day to do some test flying of new kites. 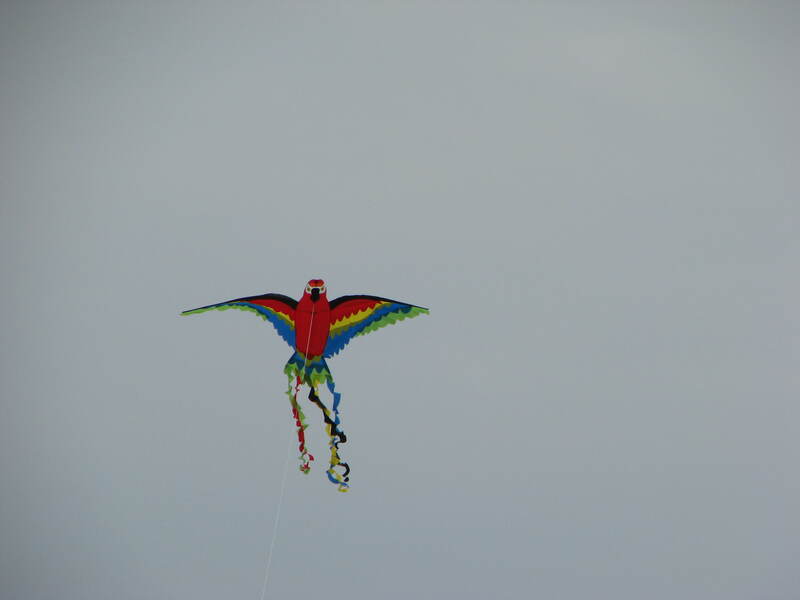 Two of Skydog Kites new offerings flew very well in the light winds and you couldn’t help but smile when looking at them. One was a parrot and the other was a butterfly. 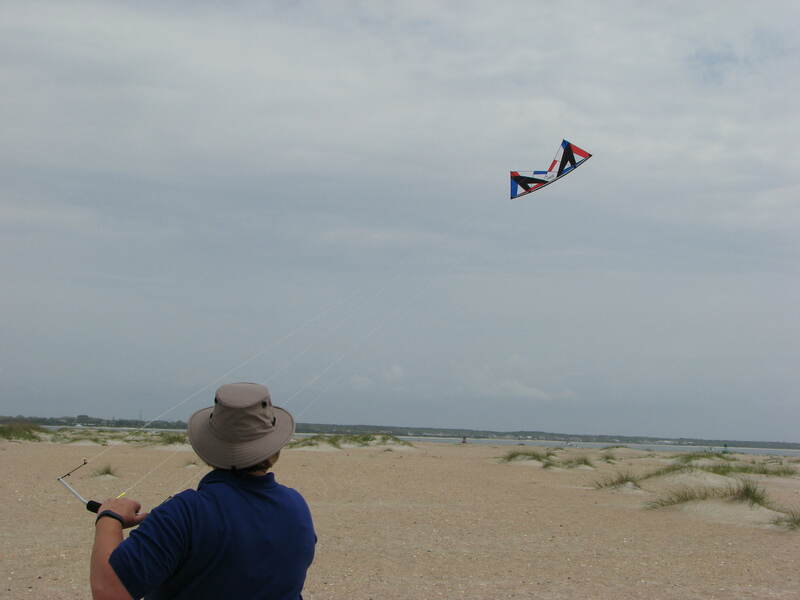 Perfect kites for families on vacation. I took advantage of the morning to fly my little Wisp. 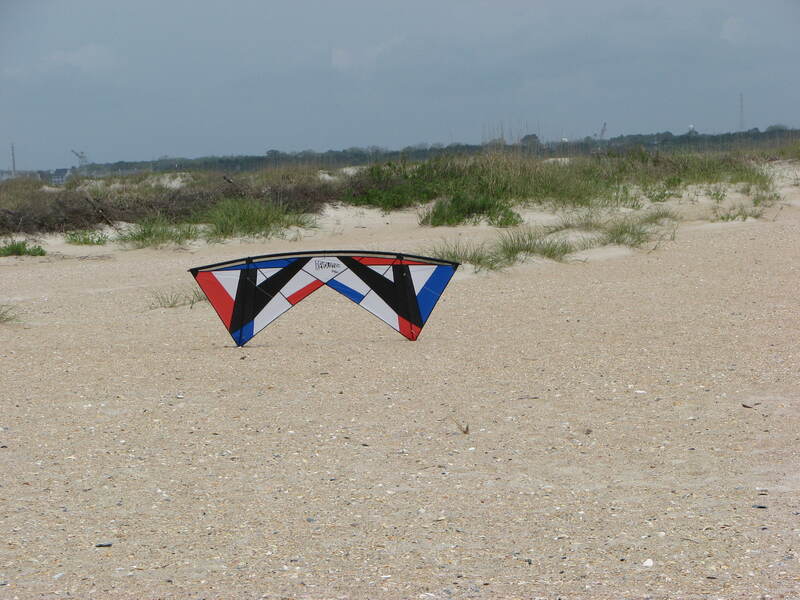 It is such a great low wind dual line stunt kite but oh, so sensitive to the inputs. It took me a couple of launches to get used to it again. Then the fun began. Loops and dives and tight little spins. 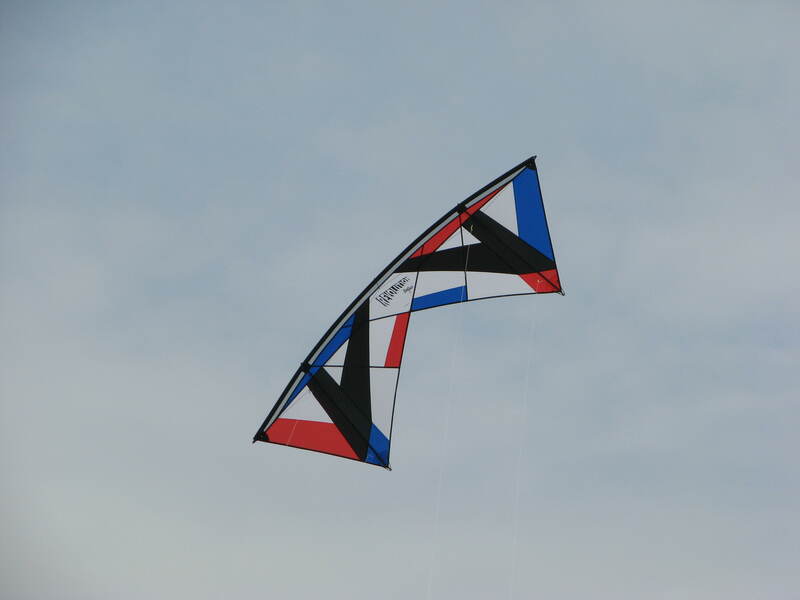 Before leaving, I took some time to try out the Reflex from Revolution kites, their latest model quad line. 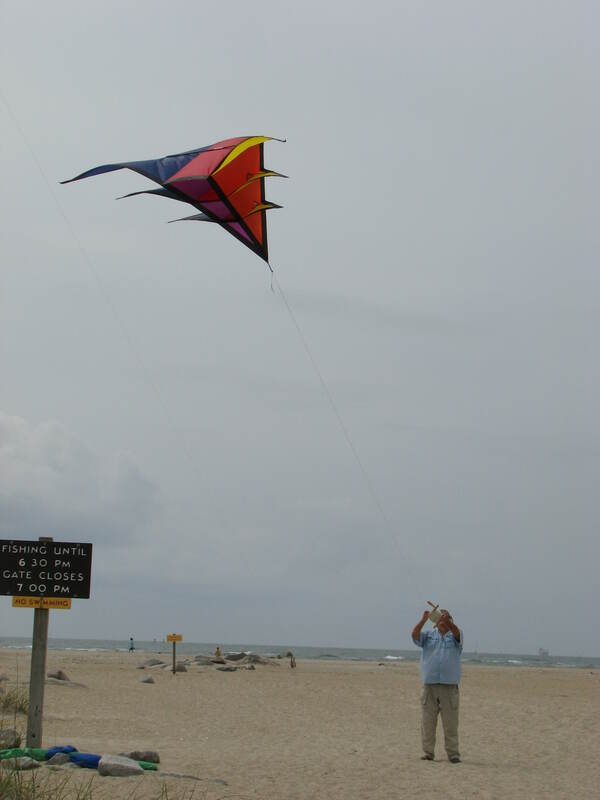 The early descriptions have it as a low wind kite for the beginner quad line flyer. So this was the perfect day to give it a trial. To me it appeared to be a slower flyer but easy to handle. At times it seemed to drift in the wind and feel soft on the handles. I wasn’t using the light-weight handles that come with but had it on my regular no-snag handles. I had an easier time with an inverse hover which I’ve never been able to do well. This trial was an easy fly, no hard “spanking” or tricks. Mostly smooth moves and slow lazy turns and loops. Just want a beginning flyer would try to do. I didn’t try the launch from a flat position nor the classic “dive-stop”. I did like the Reflex more than I thought I would. So there you have it.